Whether you own a farm or worry about keeping your lawn green, understanding the health of the soil is important. Applying limestone to soil helps reduce its acidity by balancing the pH levels, thus allowing crops to grow healthily and your lawn to stay green during the summer months. Regularly applying limestone can do many other good things for the soil and the plants growing in it. For agricultural uses, applying limestone helps reverse the effects of farming the same soil for many years. 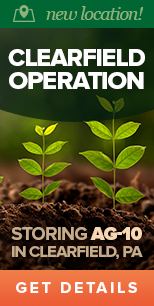 Over time, the soil’s acidity rises, which negatively affects a crop’s quality and its seasonal yields. Limestone will lower the soil’s acidity and balance the pH levels. Liming your fields help your crops absorb more nutrients and minerals from the soil, makes some herbicides more effective and removes certain toxins from the soil. There are not many wrong times to lime your fields. To put it simply, make sure you lime when the soil conditions will not damage your equipment and when the fields are empty of crops. However, there are additional factors to keep in mind about the best times to apply limestone. Limestone improves soil because of certain chemical reactions. Because those reactions need time to play out, it’s important to plan ahead — possibly a year or more. The chemical reactions to fully “fix” the pH level of the soil can take around six months. You should aim to lime the soil at least that far in advance before planting new crops. Late summer is typically a good summer limestone application time. It’s also important to make sure the soil is not compacted when applying the limestone. This compaction could easily occur when the liming trucks go over the fields if the soil is moist. Liming on dry soil will help avoid this issue. There’s nothing quite like having a well-trimmed, lush green lawn during the summer. It’s the perfect backdrop to have backyard barbecues and outdoor parties. But the hot, dry summer weather can make your lawn patchy, grow weeds and turn unattractive hues of brown and yellow. Putting lime on your lawn during the summer can help your lawn stay healthy and green all summer. 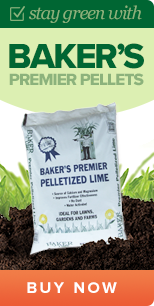 Liming can also help when you’re putting new grass seed down. As with its agricultural purposes, limestone helps balance the pH levels in your lawn’s soil and restore levels of calcium and magnesium. Choosing the right grass: Certain grasses stay greener longer and don’t need as much water, like buffalo grass. Water it: If you feel your lawn could use a drink, give it about one inch of “rain” every day. Just let it be: Your lawn is resilient. If it turns brown and yellow during a drought, the rich green colors will come back once there is more rain. Baker Lime provides high-quality limestone products that could be the key to improving the quality of the soil in your home or farm. 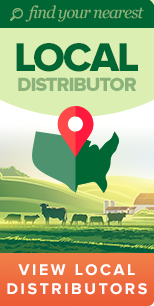 Contact us today for more information about our products or to receive a quote.